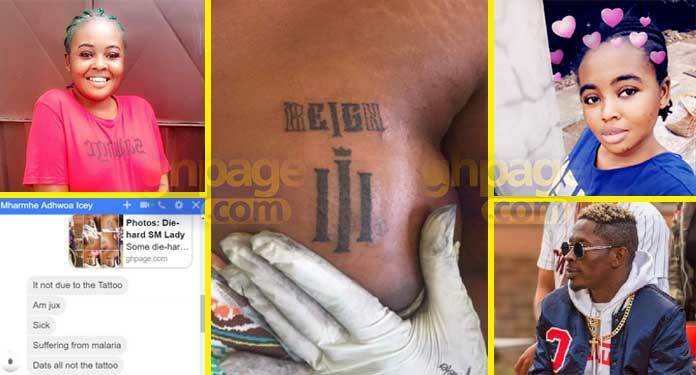 Die-hard SM fan, Mharmhe Adhwoa Icey who decided to take her support for the Dancehall artiste a notch higher by getting a tattoo of the album art cover for “The Reign” on her twin towers, according to multiple reports online indicates that she has collapsed. 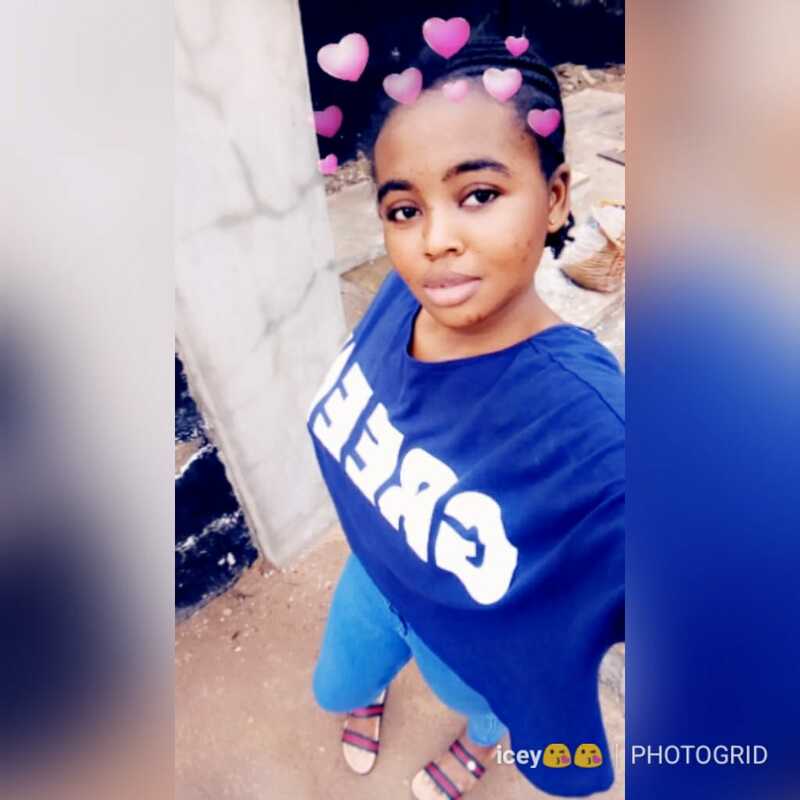 Well, we all know Shatta Wale is set to drop his album in October at the Fantasy Dome dubbed “The Reign” and as part of that, the self-acclaimed has begun his media tour to promote his album and has released some souvenirs to help hype the whole album release. 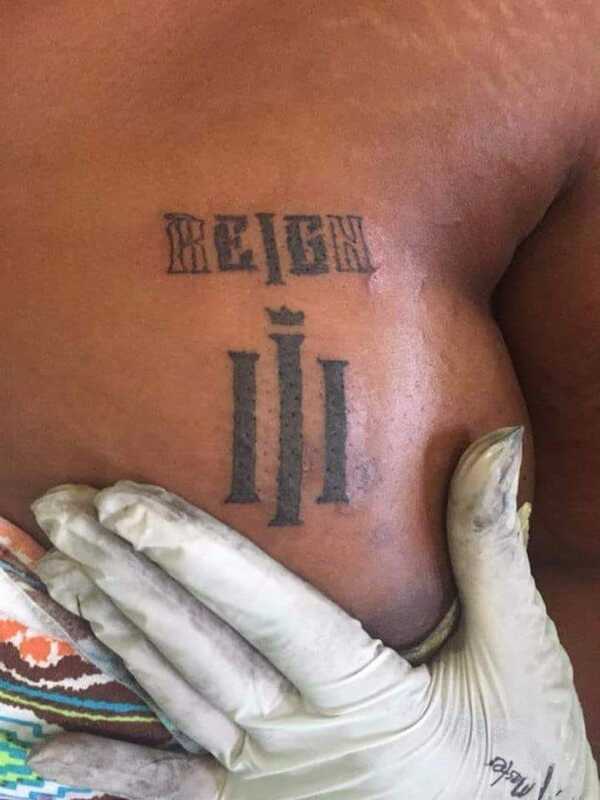 The love for the SM empire and support for his upcoming “Reign” album, made Mharmhe Ahdwoa Icey went to the extreme of getting the tattoo on one of her breasts. 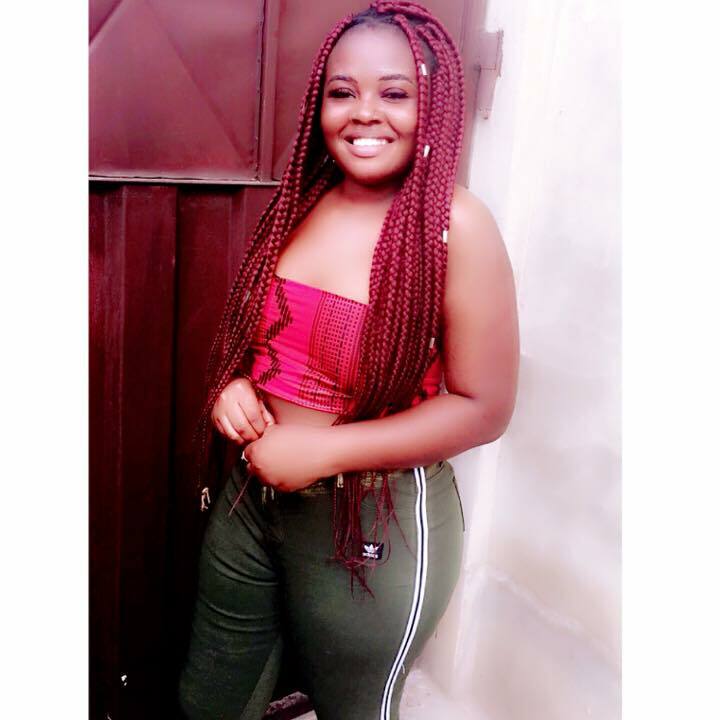 Read Also: 8 Most Controversial Nigerian Celebrities Of 2017 – Number 7 Made A Lot Of Pastors SAD! 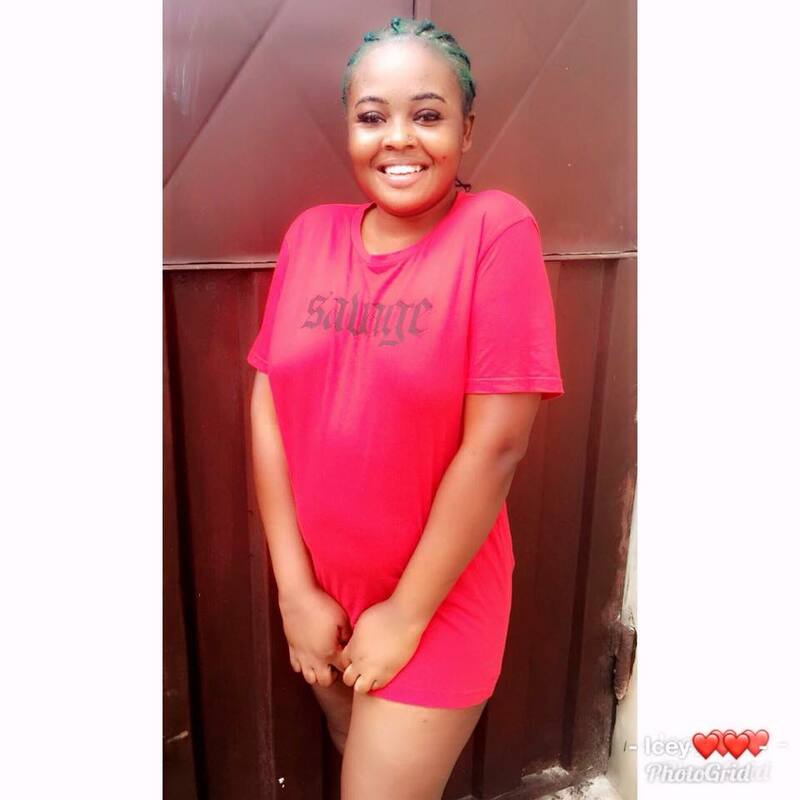 There were earlier rumours that she collapsed due to the tattoo but close friends disclosed that it wasn’t because of the tattoo but failed to disclose the real cause of her ordeal per reports online. 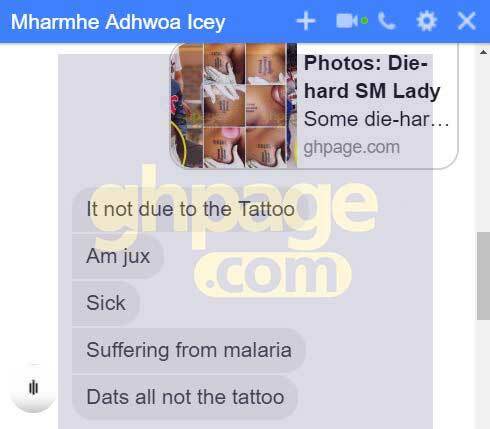 Meanwhile, Ghpage.com has contacted her for comment and we can exclusively state that she’s okay but according to Mharme Ahdwoa Icey, she was admitted at the Hospital because she was suffering from Malaria and not the tattoo as rumours had it.